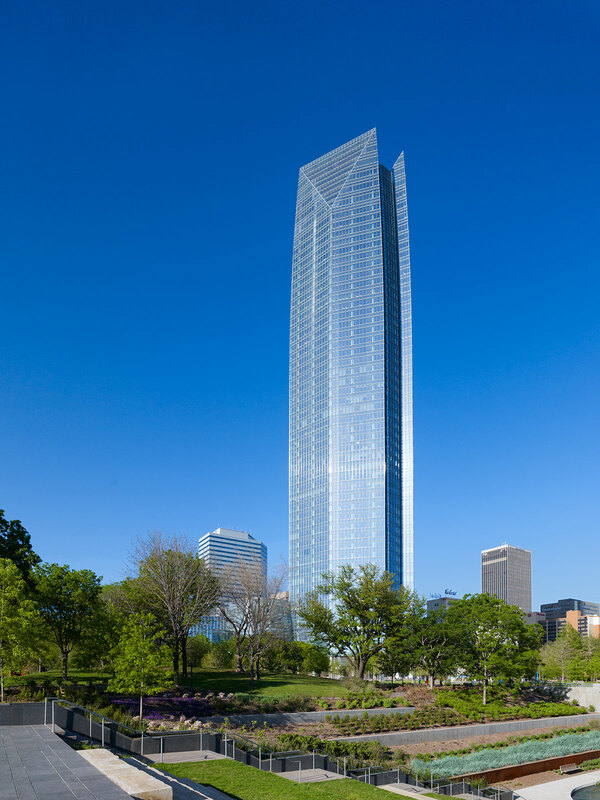 Hines managed the development of the Devon Energy Corporation Headquarters, an iconic, 50-story, office tower located in downtown Oklahoma City. The complex comprises nearly 2 million square feet of office and amenity space. 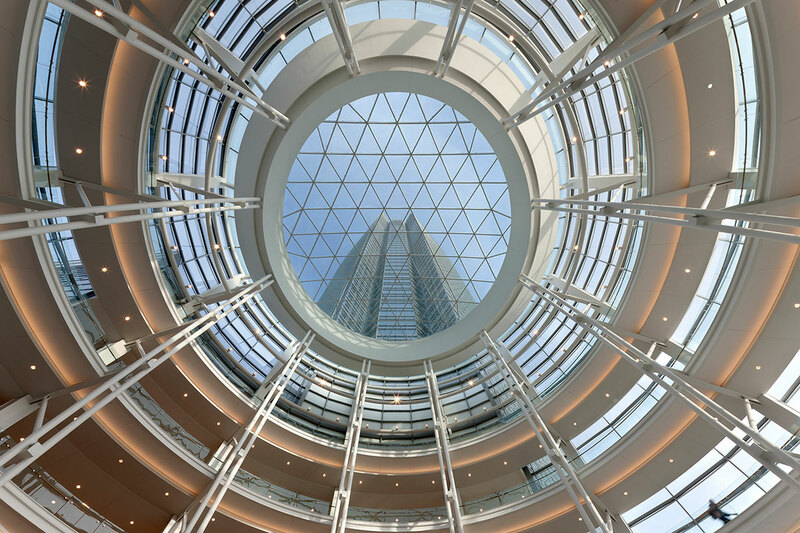 Designed by Pickard Chilton, the property features a stunning six-story glass rotunda with a sky lit roof and a series of balconies ringing the space. At street level, a pedestrian promenade provides a public gathering place with access to retail and restaurant amenities. The development includes a landscaped public park and plaza with an abundance of shade trees and a serene reflecting pool. In addition, an existing five-level, 1,000-car garage was expanded vertically by adding five levels, and horizontally, to provide a total of 2,898 parking spaces. 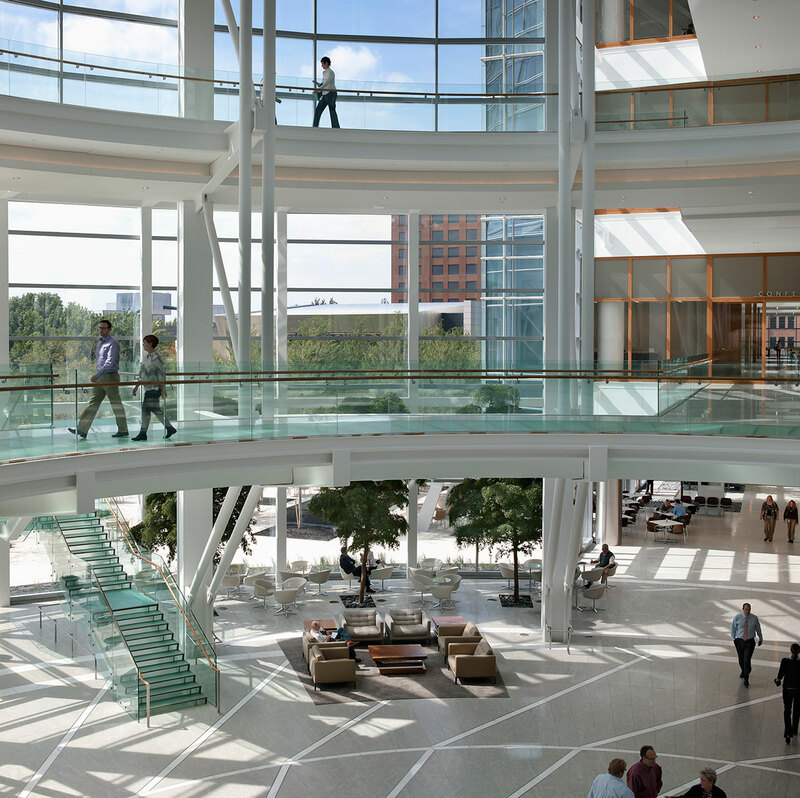 With sustainable features such as 10-foot floor-to-ceiling, low-E glass windows and a raised-floor office environment, the project is LEED-NC Gold certified. The project was completed in 2012.